Israeli soldiers injured, on Tuesday afternoon, a young Palestinian man, east of Khan Younis, in the southern part of the Gaza Strip. 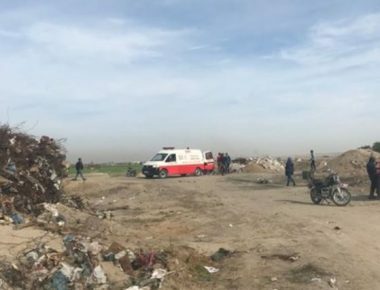 Dr. Ashraf al-Qedra, the spokesperson of the Palestinian Health Ministry In Gaza, said the soldiers shot the man with a live round in his leg, causing a moderate injury, before he was rushed to a hospital, in Khan Younis. The Palestinian was shot after the army fired many live rounds, rubber-coated steel bullets and gas bombs, at many Palestinians, protesting on their lands, near the border fence.